If you want to make some cash for clothes, you have to have some clothes to sell. Start by cleaning out your closet and dresser drawers. A good rule of thumb is to discard clothes that you have not worn in a year. Sort used clothing into piles. Designer brands will bring higher prices. Sort items by designer. Sort the remaining clothing by seasons. Coats and sweaters together, shorts and tank tops in another. If clothes are stained or torn and cannot be cleaned or mended, throw them away. 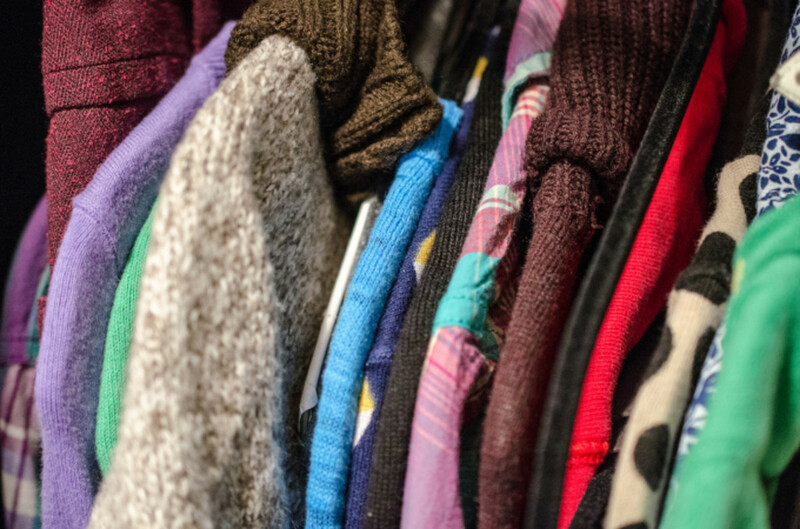 Some clothes that are not suitable to sell or even to wear can be torn up and used for cleaning rags or if you know a crafty person who sews, donate the clothes to them. Quilts and doll clothes can be made from old clothing. Making cash for clothes can be done with online services or locally. Try your local consignment shops if you choose to keep things local. You can also list things on Craigslist.org or through your local paper in the classified section. Holding a garage sale is another option to sell your clothing. If you decide to sell online, there are many options and each operate a bit differently from the next. It is said that selling clothing online won't bring in high dollar amounts. As an online reseller, I do not find that to be true. Selling price depends on the brand and condition of the item that you are trying to sell. Whether or not the item is vintage can make a difference in your selling price, too! Designer items always command higher prices and like new items can bring close to original retail value. Online venues who will purchase clothing from you outright have strict stipulations as to brands and condition of the clothing item. Online auctions are less rigid since you can point out flaws and condition issues outright. Let's take a look at what venues are within your reach. Keep in mind that with online auctions you will do more work to earn a buck and online consignment sites will pay you outright but at considerably less than what you would stand to make on an auction site. Thred up is a fashion reselling site where you can buy or sell second hand clothing online. The process is simple and straightforward. Choose to donate your clothing to them and proceeds go to charity or choose to sell your items on their site for a profit. 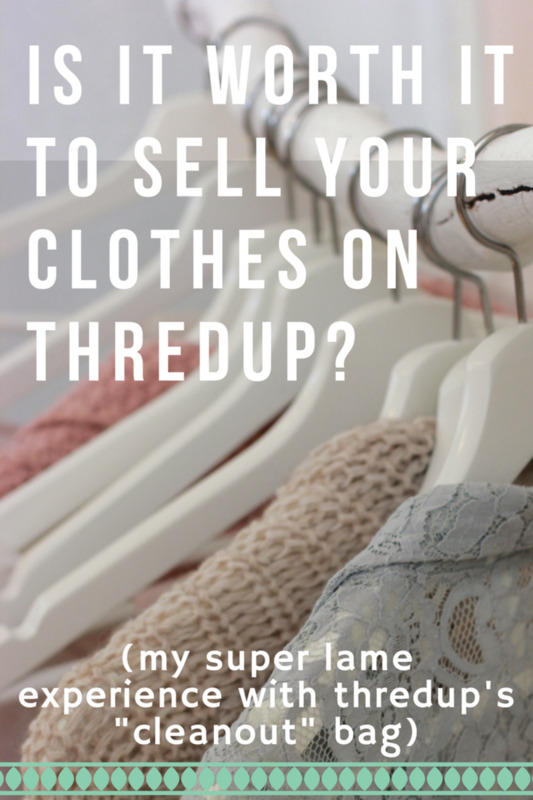 Thred Up takes name brand designer clothing and they decide whether or not your items are in good enough condition to be resold. The company sends you a starter kit and you mail your clothing to them to be sold. Clothing items are selected and you are paid a flat rate based on their payout estimator. Clothing must be clean, name brand, trendy, and in excellent condition. Thred Up only approves about 40% of the items received. You can choose to donate items that are not accepted for resale. This site is great for people who want to clean out their closets and not think about reselling or listing clothing. Thred Up does it all for you. Just order a kit, fill the bag and mail it in. The downside is that you will not be paid a lot of money for your items. It is typical to see a payout of .25 cents to a dollar depending on the item you want to sell. Poshmark is a website very similar to Thred Up. You can buy or sell on Poshmark and the trend is for name brand and fashion forward items including jewelry. 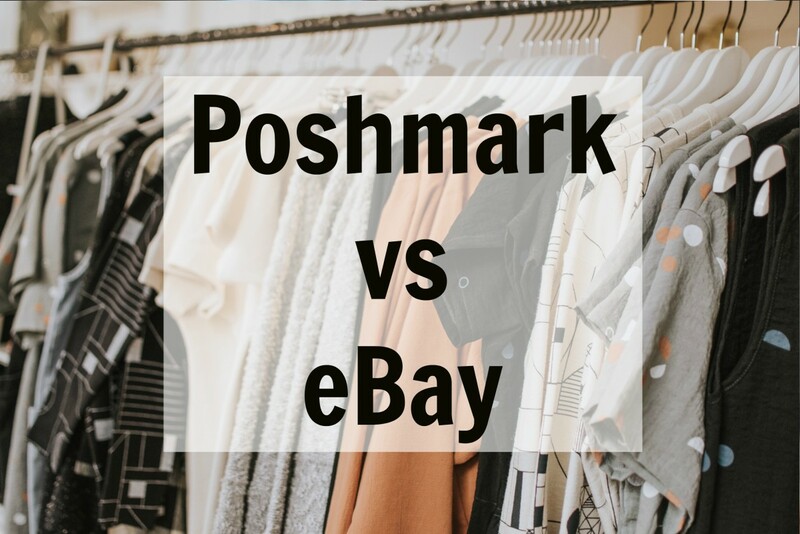 The difference is that Poshmark works in favor of the seller. Fees are simple, shipping is paid for by Poshmark and you do not send your item in to Poshmark for approval. Poshmark is an app based used clothing reselling site. You take pictures of the item that you want to sell and decide the price to sell it for. Poshmark sends you a shipping label free of cost to mail out your item once it is purchased. Fees are simple, too! If you sell an item for $15 or less, Poshmark takes $2.95 from you as a fee. Anything sold over $15 dollars costs you a 20% fee and you keep 80% of the sale. The money you make can be deposited directly into your bank account or you can request a check be sent to you. Which Clothing Site Do You Prefer? What Site Would You Use to Sell Your Clothing Online? Tradesy is a site dedicated to selling high end designer items including clothing, handbags and shoes. They operate very much like Poshmark with subtle differences. Once again they have an app that you use to photograph and list your clothing item online. You set the price and get paid into your Paypal or bank account. You also have the option to turn your profit into a credit that can be used to shop online at Tradesy. Small differences include shipping and fees. Unlike Poshmark, Tradesy gives you shipping options. You can choose to have Tradesy create a label for you on their website and then mail your item to the customer or you can set your own shipping options in the listing and the cost of the shipping is bundled into the listing price of your clothing items. Once you sell an item, Tradesy takes 19.8% of the selling price as a commission and the difference is yours to keep. Ebay is my preferred way of selling clothing items online. Unlike Thred Up, Poshmark or Tradesy, you are not limited to name brand and trendy fashion items. 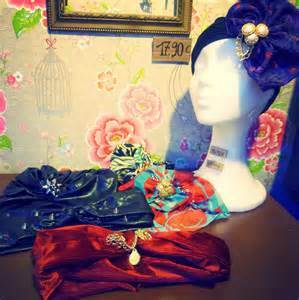 You can sell older clothing, children's clothing, men's clothing and accessories with very little stipulation. I happen to sell a lot of vintage clothing, styles from the 60's, 70's, 80's and 90's do very well on eBay. Item condition is a difference that eBay has over the other online sites. An item that is missing a button, for example, can be sold easily. You, as a seller on eBay, have the responsibility of letting the buyer know that there is a button missing or other flaws with the item. While items in excellent condition do sell better on eBay you can still sell items with flaws for a good profit online. 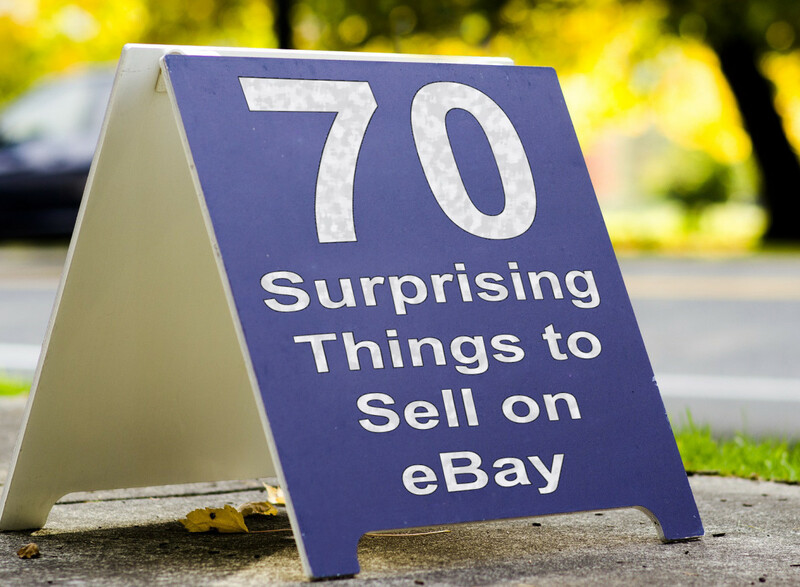 Unlike the other online clothing selling venues, eBay allows you to bundle items. As an example, let's say that I have a dozen baby onesies. I can group together the 12 items and sell them as a lot on eBay. This allows me to get rid of a lot of unwanted clothing at one time instead of trying to sell it all one piece at a time allowing me to free up more closet and drawer space. Ebay allows you to design your own store front. Selling fees go down as you choose to increase your store monthly selling package. All in all, the average fee cost still remains around 20%, allowing you to pocket 80%. Postage and shipping fees can be added outside of the listing price. Which ever platform that you decide to sell your used clothing on depends on the benefits that you are looking for. Thred Up allows you to send in unwanted clothing for that "out of sight, out of mind" feeling but at a low profit. Poshmark and Tradesy focus on high end designer brands that you hang on to then ship. Ebay allows you to sell almost anything as long as you note the condition to the buyer. Selling your clothing can be pain free and add a little extra money in your pocket. So, what are you waiting for? 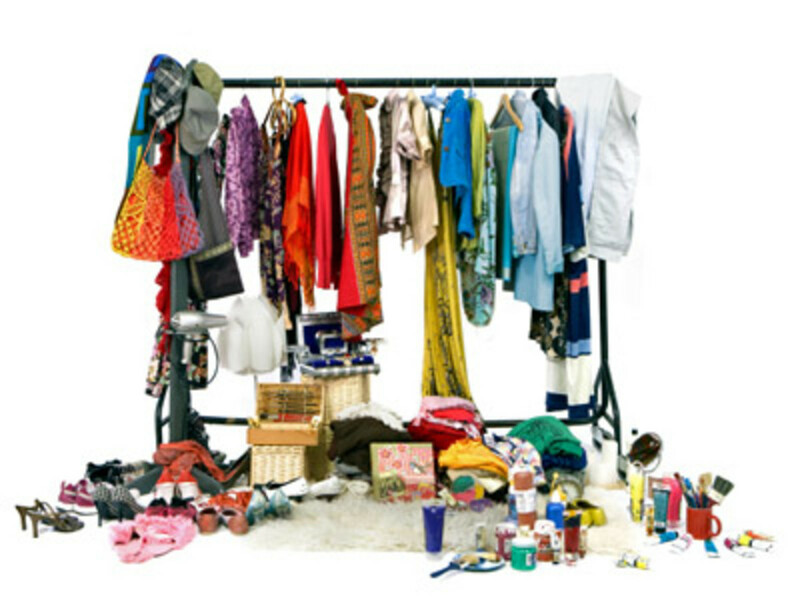 Clean out the closets and start listing your items for sale online!